A beautiful solid wood Amish Server/Sideboard can bring an elegant touch of style to your dining room, while also providing much-needed storage space for plates, silverware and other dining accessories. Our extensive collection includes well over 150 Amish-made servers and sideboards featuring favorite design styles such as Bloomfield, Carlton, Fayette, Rochester and many others. Take a few minutes to browse our entire collection and let your imagination run wild! Dining room furniture represents a major investment for any homeowner. That’s why it’s so important to choose products that are built to last. Our servers and sideboards are made from durable northern kiln-dried hardwoods such as cherry, maple, hickory and oak. You also get the benefit of unsurpassed Amish craftsmanship. The Amish don’t believe in taking shortcuts or mass-producing furniture pieces that don’t hold up over time. Instead, they always take the time to do the job right. 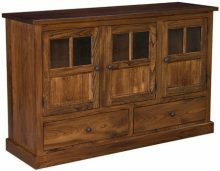 What Is the Best Room for My New Amish Furniture Sideboard? Typically, an Amish furniture server or Amish furniture sideboard is the perfect complement to an elegantly furnished kitchen. Servers and sideboards are designed to store those extra plates, bowls, knives, forks and other dining accessories in a location that’s both convenient and attractive. You could hide away your server or sideboard in the kitchen, but a solid wood furniture server from AmishOutletStore.com is a beautiful piece that’s designed to be seen and admired, so the dining room is an ideal place for it. How Do I Match My Décor with My New Sideboard? If you’re concerned about your new sideboard fitting in with your current furniture arrangement, have no fear. Matching your solid wood furniture sideboard with your existing décor is as easy as can be. AmishOutletStore.com offers over 150 different Amish servers and sideboards. 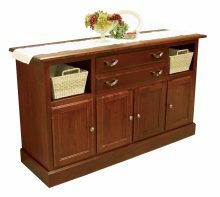 You’re certain to find an Amish furniture server design that you like and that fits in with your décor, but just to be certain, these Amish furniture sideboards are customizable with several different options of durable, northern kiln-dried hardwoods such as cherry, maple, oak and hickory, and with a wide variety of different wood stains. Put the right design, wood and stain together, and you wind up with an Amish furniture sideboard that looks like it was born in your dining room! Are There Matching Furniture Sets I Can Pair With My New Amish Server? 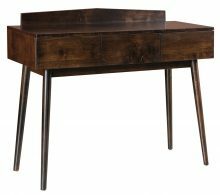 At AmishOutletStore.com, you’ll find a plethora of designs for virtually every piece of furniture you could want to put in your dining room, from chairs and tables to cabinets in Mission and Shaker style. 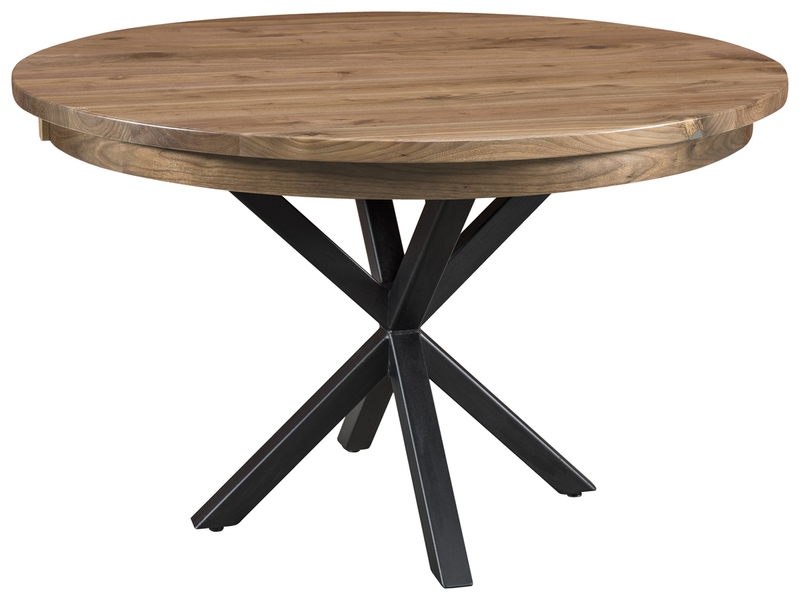 You’ll find everything you need to put together a complete dining room set, and our pieces are designed to fit right in with whatever solid wood server/sideboard you choose. Remember: by choosing the same or a complementary wood and stain, you can create even more cohesion among your Amish dining room furniture pieces. Are These Servers Durable Enough to Hold up to Everyday Wear and Tear? A solid wood furniture server may see a little more action than your average piece of Amish furniture, but these quality pieces are up to the task. Every piece of Amish furniture you get from AmishOutletStore.com is handcrafted by Amish artisans who have passed down the secrets of creating beautiful, durable, lasting furniture for over a hundred years. The servers and sideboards are no exception. You can expect your Amish furniture sideboard to last through many sets of the dining room accessories you put in it. Apply the proper care to your solid wood sideboard and between its durable, hardwood material and quality craftsmanship, you can expect it to look great for a long, long time. 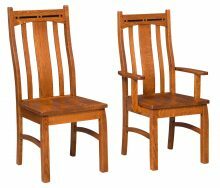 At AmishOutletStore.com, we make expertly handcrafted Amish furniture affordable for just about any household budget. Take advantage of our numerous money-saving discounts, including receiving up to 33% off the regular retail price when ordering any server or sideboard today. We also offer a large order discount where you can save up to an additional 13%. You can even get 3% off just for paying for your furniture by check. Whether this is your first piece of solid wood Amish furniture or you’ve already experienced the joy of an Amish piece, the time to add a needed sideboard/server to your collection is now. 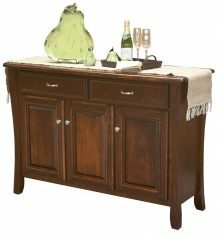 Look through all the great options at AmishOutletStore.com and find the sideboard/server that’s just right for you and your home today.